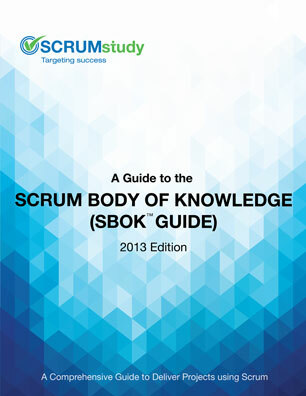 A Guide to the Scrum Body of Knowledge (SBOK™ Guide) provides guidelines for the successful implementation of Scrum — the most popular Agile product development and project delivery methodology. Scrum, as defined in the SBOK™ Guide, is a framework which is applicable to portfolios, programs, or projects of any size or complexity; and may be applied effectively in any industry to create a product, service, or other result. The SBOK™ Guide was developed as a standard guide for organizations and professionals who want to implement Scrum, as well as those already doing so who want to make needed improvements to their processes. It is intended for use as a reference and knowledge guide by both experienced Scrum and other product or service development practitioners, as well as by persons with no prior experience or knowledge of Scrum or any other project delivery methodology. The SBOK™ Guide draws from the combined knowledge and insight gained from thousands of projects across a variety of organizations and industries. In addition, contributions have been made by experts who have taught Scrum and project delivery courses to more than 400,000 professionals in 150 countries. Its development has truly been a collaborative effort from a large number of experts in a variety of disciplines. In particular, I would like to thank the seventeen co-authors and subject matter experts and the twenty – eight reviewers who greatly contributed to the creation of the SBOK™ Guide. Wide adoption of the SBOK™ Guide framework should help standardize how Scrum is applied to projects across organizations globally, as well as significantly help to improve their Return on Investment. Additionally, it should promote greater thought and deliberation regarding the application of Scrum to many types of projects, which will in turn contribute towards expanding and enriching the body of knowledge and consequently future updates to this guide. Although the SBOK™ Guide is a comprehensive guide and framework for delivering projects using Scrum, its contents are organized for easy reference, regardless of the reader’s prior knowledge on the subject. Other information about SCRUM and Agile .